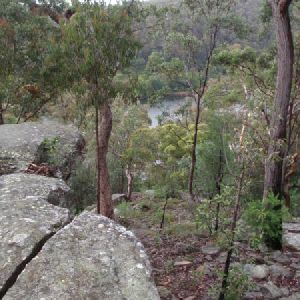 From the Lapstone water reservoir car park, this walk heads towards the motorway (north), following the foot path on the left (western) side of the road. The walk continues down the hill and under the bridge. At the end of the cutting after the bridge, the walk comes to the base of a set of stairs. Turn left: From here, the walk heads up the steps to the clearing at the top. This clearing is an old quarry and section of the original rail line. There is a bit of a ‘rabbit warren’ of tracks in this area. Veer right: The track continues north through a few more cuttings, and past an old platform. 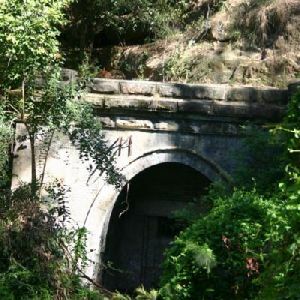 Soon after this, then the track comes onto the siding (a section of railway track used for storing trains) and at the end of the siding is an old lookout, giving views down the gully to Knapsack Bridge. Turn sharp right: The walk follows the the track from the lookout down the ridge, initially turning south to come back parallel with the rail line until coming to a small track intersection. From here, the walk follows the track and stairs, winding down the hill. The track comes to the south-western corner of the bridge. After exploring the bridge footings, the track follows the defined path up to the southern end of the bridge. Turn right: From Knapsack Bridge, the walk heads south along the old road, which soon comes to a locked gate. The walk continues around the gate and soon meets an intersection with a footpath, which heads south along the Great Western Highway. 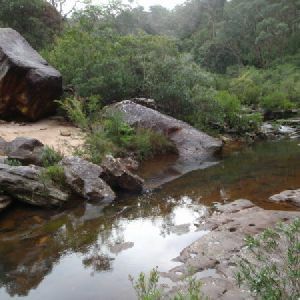 Turn right: This walk heads south along the footpath – it is far from a wilderness experience, walking along the highway, but serves as the most direct return route. The walk comes to the steps, next to the on-ramp. Continue straight: From the base of the steps (which lead to the old quarry), this walk heads south along the footpath that follows the on-ramp as it turns and goes under the bridge. Soon after the bridge, the walk stays left to stick to the track that brings you to the Lapstone water reservoir car park. 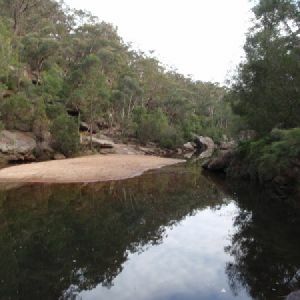 1.3km of this walk has gentle hills with occasional steps and another 370m is flat with no steps. Whilst another 300m is very steep and the remaining 25m has short steep hills. 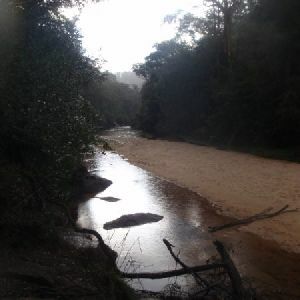 1.1km of this walk follows a smooth and hardened path and another 620m follows a clear and well formed track or trail. 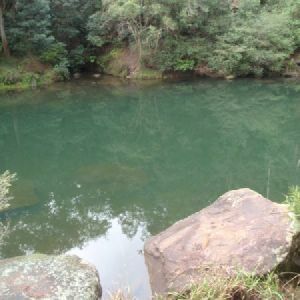 The remaining (300m) follows a formed track, with some branches and other obstacles. Around 1.6km of this walk is clearly signposted, whilst the remaining 330m has directional signs at most intersection. 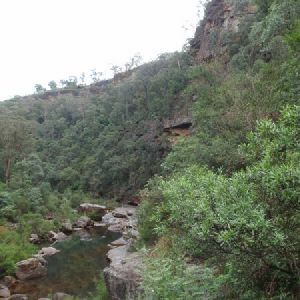 Around 1.7km of this walk requires no previous bushwalking experience, whilst the remaining 300m requires some bushwalking experience. 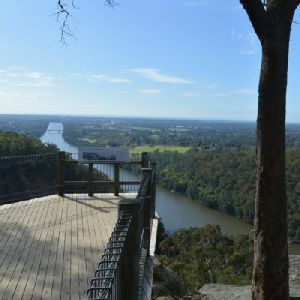 Around 1.6km of this walk is close to useful facilities (such as fenced cliffs and seats), whilst the remaining 330m has limited facilities (such as not all cliffs fenced). 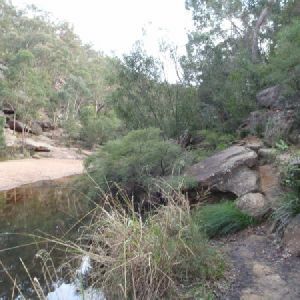 A list of walks that share part of the track with the Lapstone Bridge ZigZag walk walk. 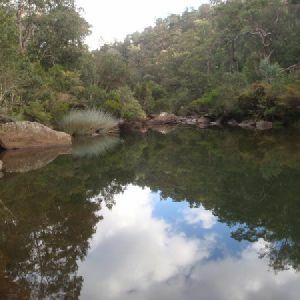 A list of walks that start near the Lapstone Bridge ZigZag walk walk. 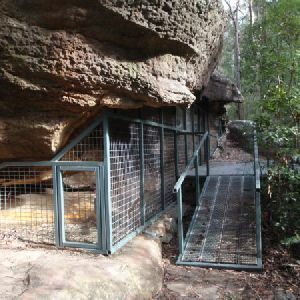 http://new.wildwalks.com/wildwalks_custom/includes/walk_fire_danger.php?walkid=nsw-bmnp-lbzzw Each park may have its own fire ban, this rating is only valid for today and is based on information from the RFS Please check the RFS Website for more information.